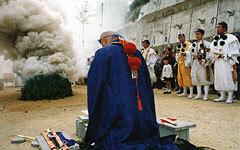 Hozanji Temple Large Homa Ceremony. The Large Homa Ceremony is a training ceremony involving the burning of 8000 cedar sticks before an idol to pray for National peace, security and bountiful harvests. 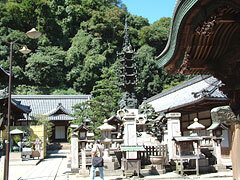 Hozanji Temple Great Perfection of Wisdom Ceremony. The continual reading of The Great Perfection Of Wisdom Sutra for 10 days straight.